Don Lucas is a renowned jewelry designer who has been designing southwestern jewelry for over 38 years. After being introduced to the trade by Native Americans, he was inspired by the classic Navajo and Zuni jewelry designs and taught himself the trade as a young man. This southwestern jewelry collection is handmade and crafted with only the finest natural gemstones and semi-precious stones. He sets these coloful stones into hand stamped sterling silver to create designs that are traditional yet timeless. Each piece is taken through the design process giving you quality jewelry which you can cherish for a lifetime. 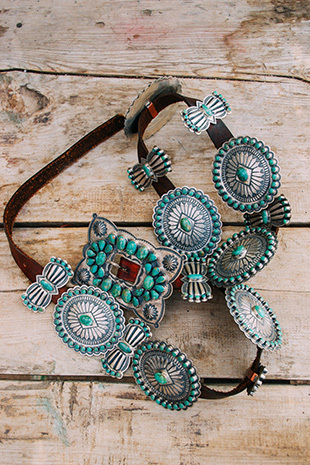 Desert Son of Santa Fe carries Don Lucas belts & buckles, and jewelry. Contact our shop for inquiries on our current inventory.